Kristi Tebo, MD, post-resident physician with Samaritan’s Purse, and pediatrician, just sent this pic from Hôpital Baptiste Biblique in Togo, West Africa. She chose to give the children a customized version of the hygiene coloring books. Dr. Tebo saw the need for educational yet fun materials to keep the children busy in a productive way. She chose to give the children a customized version of the hygiene coloring books. 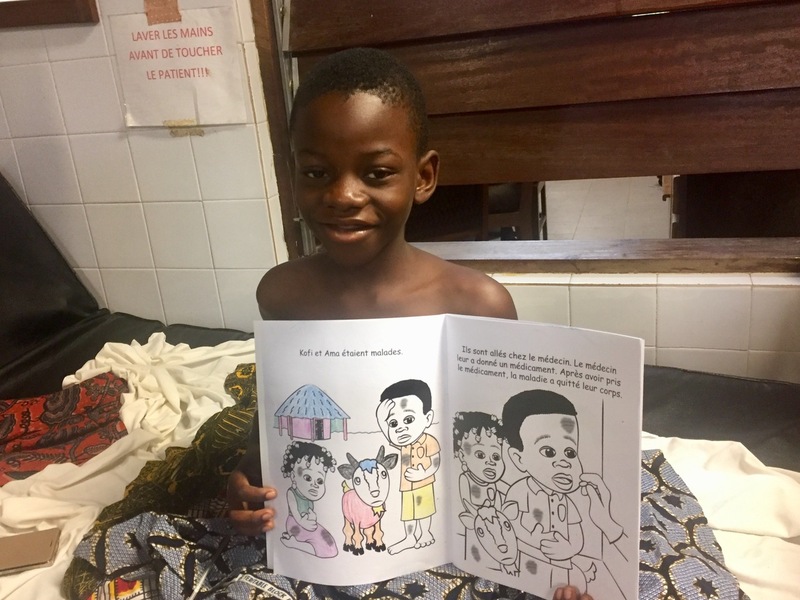 She asked us to change the text to both French and Ewe, so books were available to the children in each language, in addition to English. Then, she added the salvation message to the back page. This way, any adult who may be reading to the child can share the gospel message.